Cables are a very important part of a garage door system. Cables are the vital part, which gives enough support for the springs of the garage system to protect it from wear and tear. Damage to the spring of a garage door can be really dangerous, even life threatening sometimes because when the spring gets damaged, there is no control for the door. Cable acts as a safety net between the tracks of the garage door and its springs. The cables help to put less tension on the springs by lifting it to close the door. 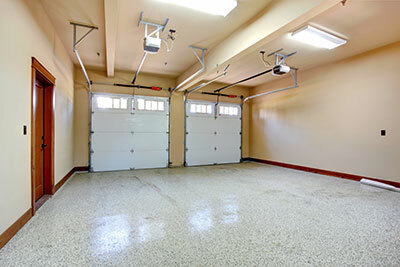 This can help your garage system to last longer. The cables also could get snapped or come loose sometimes, but repairing the cable snapped or cable loose is comparatively quite easy. It is actually better to replace the broken cable than repairing them, as these cables are not very expensive. We are experts in doing such minor jobs and also even major repairs, such as to replace garage tracks or repair bent garage door track. If you are in Shoreline, WA, area, we are the experts you should keep in mind, for any garage door cables and tracks repair jobs. Even though it sounds easy to replace the cable by yourself, if you are not very familiar with its mechanics and don’t know what you are doing the repercussions could be bad. If the cable is not installed properly, it will cause the spring to break, which will be dangerous. Repairing garage door cables and loose tracks is not a big task, as you can cut the end of the cable to shorten it but if you are not confident to do it, it is always better to call the help of a professional like us. We have attended to many such complaints for garage door cables and tracks repairs in Shoreline, WA. When the garage door cables get broken or snapped, it is better to call the experts. The main reason for the breakage is because of the heavy load the spring takes, which makes the cable stretch too much and breaks. It could also be due to the cable being run over by the track wheels. Experts in garage door cables and tracks repairs. Another problem, which could happen with the cable, is that it comes off the drum. In this case, you will have to release the spring tension and then lift the garage door and clamp it up, carefully, in place. Then the cables have to be put back in the drum and lock them. This is a task, which is best to be left to the experts. We are the experts in these kinds of jobs in the Shoreline, WA area. Broken Cable is actually a common problem we have attended in hundreds of residential and commercial establishments. One of the main mechanical parts of a garage door is the metal tracks, which enable it to move. These are controlled by springs. Since the metal track is the most used part of the garage door system, it also needs more frequent repairs. Sometimes you need to replace garage tracks completely. Sometimes you can just repair bent garage door tracks. Whatever is your need, we are here to help you in Shoreline, WA, since we are the experts in garage door cables and tracks repairs. Sometimes the brackets, which are attached to the tracks, might just need some tightening, but sometimes the tracks might have been bent and distorted so badly that you will need to replace them completely. Alignment of these tracks has to be really perfect to allow the smooth rolling of the door. Horizontal track has to be positioned at a slightly lower angle than back tracks.